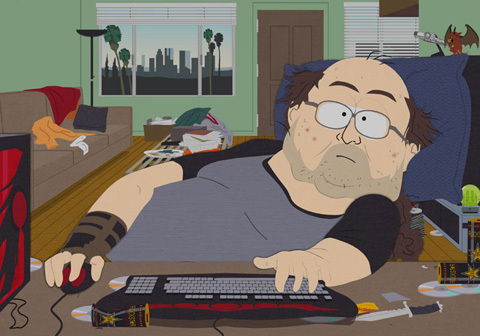 Online Gaming Addiction – Are you Addicted? Should you be worried? I received an e-mail from Curtis today: he would like to eliminate his “online gaming addiction” and spend more time on his life goals. What’s the definition of gaming addiction? Are games bad for you? Is it possible to have a healthy relationship with online games? Compulsive – do you find yourself playing games even when you know you should be doing something else? To put it another way: are you choosing to game, or are you playing despite your desire to do something else? Interference with ordinary life responsibilities – Is your gaming habit interfering with your school, work, or relationships? This was certainly the case for me from the ages of 13-22. I logged on average 60 hours a week in online games(UO, EQ, DAOC, WoW) and consistently chose to play the game over getting a job, going to class, or spending time with friends. It depends. How’s that for a terrible answer? But really, it depends. It depends on whether you fit the definition of addiction. If a game is interfering with your life and causing you to compulsively play then games are bad for you. A game should not interfere with your health, relationships, or responsibilities. After all it’s just a game. No one given the conscious choice would choose a game over their health, yet, that is the reality of what gaming addiction causes. Games also bring a myriad of benefits. Especially online gaming. It improves your visual-spatial awareness. Hand-eye coordination. Improves cognitive function. And most importantly it is social and connects you with others which can give you a sense of community and belonging and satisfy some deeply held social needs that can sometimes be difficult to find in real life. And it’s fun. People become addicted to games because they’re fun and enjoyable. In the sense of entertainment and fun, for me, nothing comes close to playing online games. If gaming brings me more happiness and fun than any other leisure activity why shouldn’t I indulge in it during my leisure hours? Absolutely. Like anything else the key is moderation and balance. Easier in theory than practice. Games are designed to be addictive. And like an alcoholic a gaming addict might find that they cannot avoid gaming addiction without complete abstinence. This is something that varies with each person’s individual brain chemistry. Personally I had to eliminate games completely for a year before I could find my ideal balance. Now I play 15-20 minutes of Hearthstone or Heroes of the Storm three to four days a week. The games come only after I’ve completed all my other priorities(work, exercise, nutrition, reading, meditating). I consciously avoid playing MMOs like World of Warcraft because I know that for my personality type I can’t play a MMO without dumping every spare moment into the game. To accomplish new goals you need to build new habits. Trying to stop a gaming addiction with sheer will-power is non-productive and will not work long-term. You need to replace the gaming habit with a new healthier habit. Try starting a new intermittent fasting diet. For example: You find that your habit is to come home, load up a game, and play until 2am. You want to exercise more, eat better, and study more. You need to start by short-circuiting your gaming habit. Tape a big piece of paper over your monitor with a check-list: exercise, cook dinner, study. And make a promise to yourself that you cannot remove that piece of paper until you’ve checked off all three items. Even if you only spend 5 minutes exercising, and 5 minutes studying, and cook a can of tuna. The point is to rewire your habit of what you do when you come home. I guarantee that if you do this for 30 days you will naturally WANT to exercise, and cook dinner, and study, because those are the new habits that you have formed. If you need a good book to read check out Man’s Search for Meaning by Victor Frankl.